As readers of this blog know, I believe the future is in micro manufacturing. 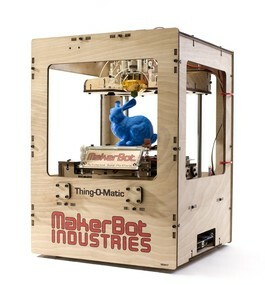 Inexpensive 3D printers keep coming down in price. Soon we will no longer buy everyday simple, disposable items. Instead we will purchase and download a 3D template and then feed the instructions into our home 3D printer. Need 50 plastic forks for the party on Saturday? No problem. Start printing tonight and by tomorrow morning they will be done. The next logical step is finding a way to recycle the micro-manufactured goods into more raw materials for the 3D printer. If we can close the materials loop, this technology will be at the forefront of green technologies for the home. The question is no longer if this will happen but when.